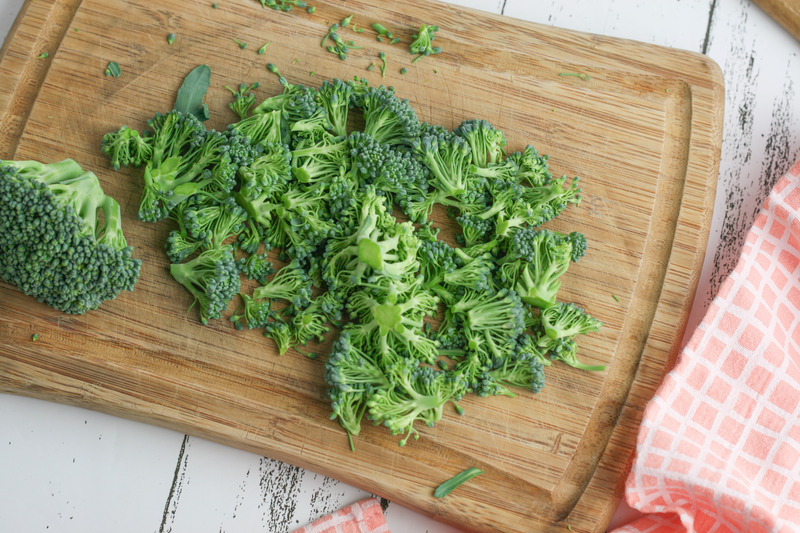 Enjoy this spring-inspired recipe for Easy Broccoli Salad. When it comes to my personal eating in 2019 I seem to have two underlying trends, it must be nutrition-packed and it must be light. I have been paying extra attention to the types of foods I am putting in my body, drastically reducing the amount of meat in my diet and choosing foods that are filled with nutrients, flavor and crunch. This Easy Broccoli Salad seems to check all my meal requirement boxes and I love that it is so easy to make. To make my Easy Broccoli Salad you want to start with a head of broccoli that has been washed and chopped into small bites. Add your chopped bacon to a large mixing bowl. Then, take your cooked bacon and chop it up. Add the bacon to the broccoli. Next, add the sesame seeds and shredded cheese. Finally, add the mayonnaise, sugar, salt and pepper to the main ingredients and combine again. The last step to this incredibly easy broccoli salad is to refrigerate the salad at least one hour before serving. A quick and easy salad that is perfect for Spring or Summer! Add broccoli, bacon, sesame seeds, shredded cheese, mayonnaise, sugar, salt and pepper in a large bowl. Stir to combine. That’s it! It is such a simple recipe and perfect for warmer weather, picnics or a go-to refrigerator staple when you are looking for a quick-lunch or grab-and-go side dish.